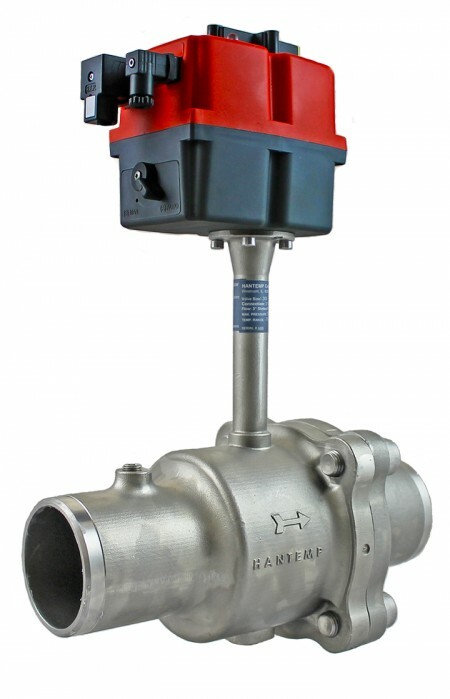 Hantemp Controls, a US-based manufacturer of stainless steel valves and controls for the food and beverage industries, has expanded its line of ball valves for corrosive and harsh environments. Featuring all stainless steel construction ensuring high resistance to corrosion, the Cobra-Neck ball valves are now available in a wider range of sizes (3/4” to 4” connections) to meet a greater number of system-specific needs and applications. The Cobra-Neck ball valves are versatile and can be equipped with an actuator for motorised control. The valves can be used to control pressure, temperature, flow, and refrigerant liquid levels. They have been approved for a safe operating fluid temperature of -57 to 115°C and a safe working pressure of 55 bar. The Cobra-Neck ball valves are compatible with common refrigerants including ammonia, CO2, and many secondary refrigerants.